In many ways, copywriting for a website is like writing anything else. You need a clear idea of who you’re talking to, what you want to say and how you want your audience to react. But, there’s an additional and crucial element you have to take account when you’re writing words for a website: it has to be written in a way that makes it easy for people using search engines to find you. As anyone who’s had anything to do with creating a website will know, it’s called Search Engine Optimisation. SEO for short. Basically, it means making sure that your website is friendly to search engines such as Google or Bing. Key phrases need to be included. That’s why I’ve included phrases such as “copywriting for a website”, “words for a website” and “Search Engine Optimisation” in the copy on this page. For your website, the key phrases you include will be relevant to your particular business and should be based on evidence of the real terms that people use when they’re searching for your product or service. You should be able to find these terms using Google Analytics. For example, people searching for care homes will often look for a home in a particular location. 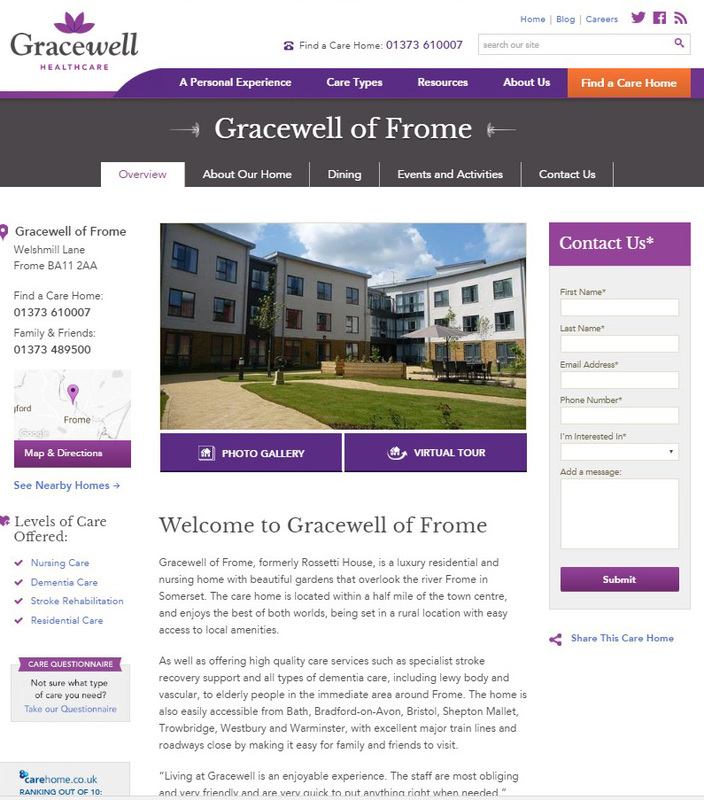 So, the copy I wrote for Gracewell Healthcare included geographical information relevant to each individual home, as well as terms related to types of care available. Optimising your website in this way is important, of course. The holy grail of search engine optimisation is to make sure your website features in the top 4 search results organically. That means without having to pay for a pay-per-click ad. If you need help with any aspect of writing your website, get in touch. Whether you need me simply to tidy up copy you’ve already written, weave in particular key words and phrases, or write it from scratch, it costs nothing to get a quote.